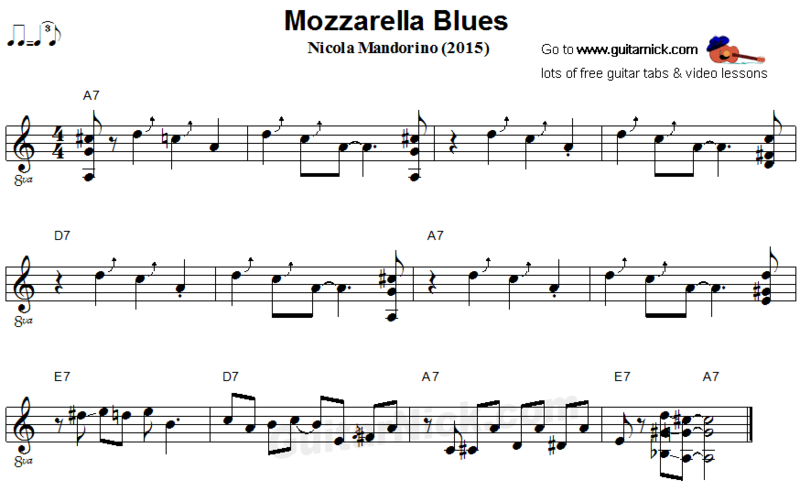 I composed this pretty guitar blues, here you can play the melody and accompaniment with small chord voicings. Then you find effects like bending, pull-off and slides useful to add blues feeling to the song. 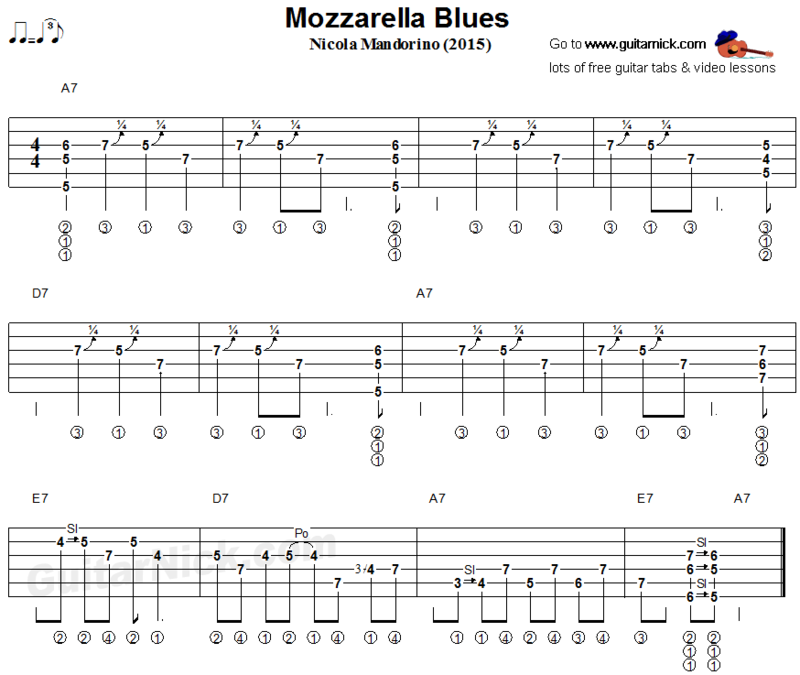 Learn to play with free guitar tablature, sheet music and my video tutorial.